The Association for Talent Development recently released the 2014 State of the Industry report. Join us on January 9, 2015 as incoming Tulsa Chapter President, Skip Eller, presents an executive summary of the report. Highlights will include overall spending trends in employee learning, trends in content distribution and delivery, and the continued impact of technology. Using survey data from local members, there will be framework and opportunity for discussion of local trends and practices as well. This is a great opportunity to see how your organization is positioned relative to our industry as a whole. It will also provide an opportunity for reflection on your own professional and career development progress. In conclusion, Skip will provide a brief summary of his vision for the future of your ATD Tulsa Chapter, and how the organization can support your professional growth and knowledge in 2015. Remember, we want this to be the one monthly professional meeting you don’t want to miss! Click here to register before January 5th. 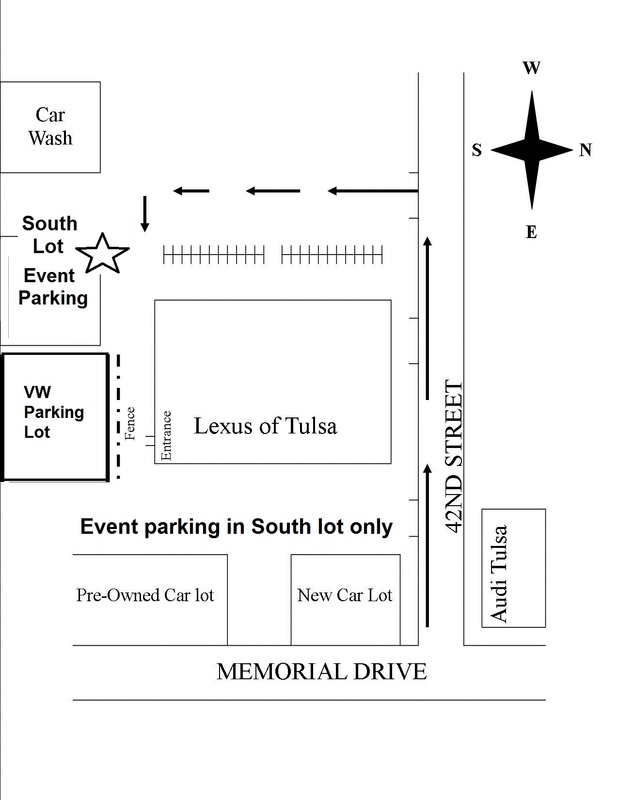 Remember … we are at the Lexus of Tulsa Community Room for the January meeting ... 4210 South Memorial Drive, Tulsa, OK 74145. Special Parking Instructions: We will enter the dealership from the South Entrance. Parking is available in the southwest lot of the dealership, behind the building. Attendees should park in the assigned location. The spaces in front of the showroom should only be be used for Lexus of Tulsa customers. Based on the ATD Competency Model, the Certified Professional in Learning and Performance® (CPLP®) credential provides talent development professionals the ability to prove their worth to employers and to be confident in their knowledge of the field. The new CPLP test schedule is now online. · Build and validate your skills. · Increase your earning potential. · Differentiate yourself in a competitive job market. · Broaden your career opportunities. · Join an elite professional community. Hear from CPLP®Credential Holders: Video Testimonials. Please take a moment to log onto the ATD Tulsa Chapter website with your unique e-mail and password combination. Once logged in, select View Profile to renew your membership and verify that any outstanding invoices are paid to the chapter before December 24, 2014. If you have questions about any invoices, please contact our treasurer, Tracey Warland-Panhofer. Did you know that there are several ways to connect with ATD Tulsa? Of course you know about our website. Did you also know about our LinkedIn Group? How about our Facebook Page? Are you following us on Twitter? Do you Tweet about our events using #ATDTulsa? Do you include us on your Tweets with ATDTulsa?Join us know and help us build our social media community! Elections have been completed and your 2015 Board of Directors is planning for the upcoming year. Let us know if you have ideas or suggestions to help us improve your member experience!